Intrada presents a 2-CD set of Richard Band's scores to four episodes of Stargate SG-1: "Cold Lazurus," "In the Line of Duty," "The Serpent's Lair," and "Singularity." 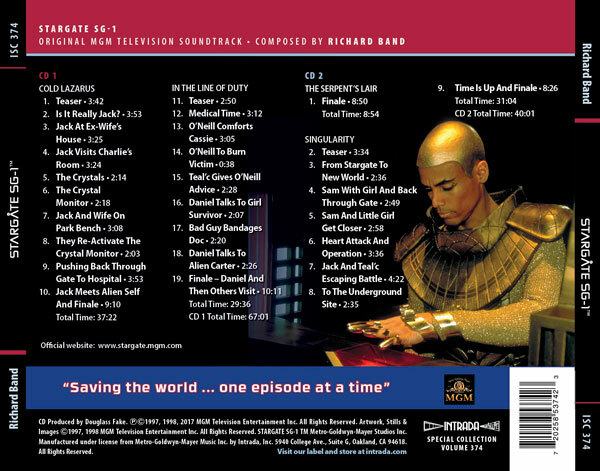 Band’s genre experience made him well suited to handle Stargate SG-1’s mix of science fiction, action and drama, and he used a combination of small orchestral ensembles and synthesizers to work within the show’s music budget while still maintaining an appropriate science fiction palette. 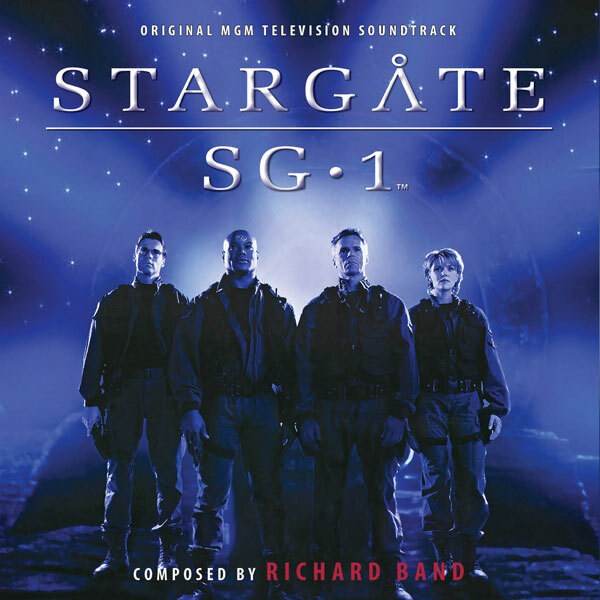 from David Arnold’s original Stargate score as well as a wavering, atmospheric motive and a variety of percussion effects that create a nervous, unpredictable feeling. 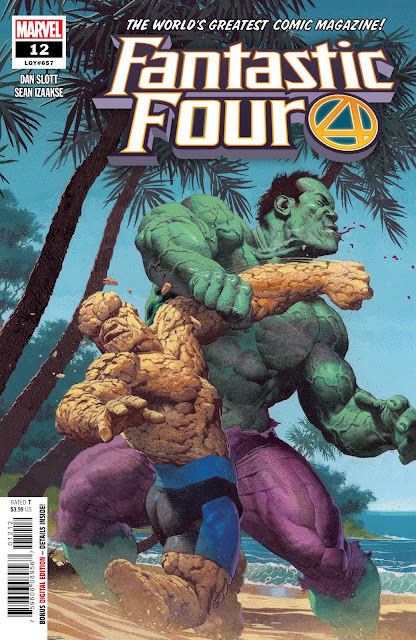 Season two’s “In the Line of Duty” opens with Richard Band’s underscoring a sprawling action scene with a humanoid alien attack on the planet Nasya. Band's score features a keening, slithery variation of Arnold’s B theme, as well as the more romantic version of the B theme. Stargate SG-1’s second season opened with the action-packed “The Serpent’s Lair,” which has the team infiltrating a warship to head off an attack on Earth. 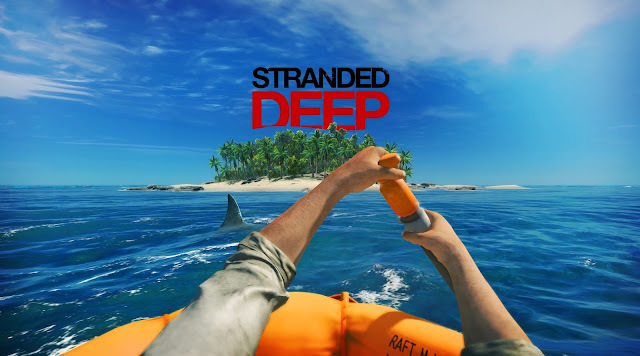 Band composed the Finale, driven by his percussive military material, and wraps up with a warm synthesizer statement of Arnold’s main theme as the crisis is averted. 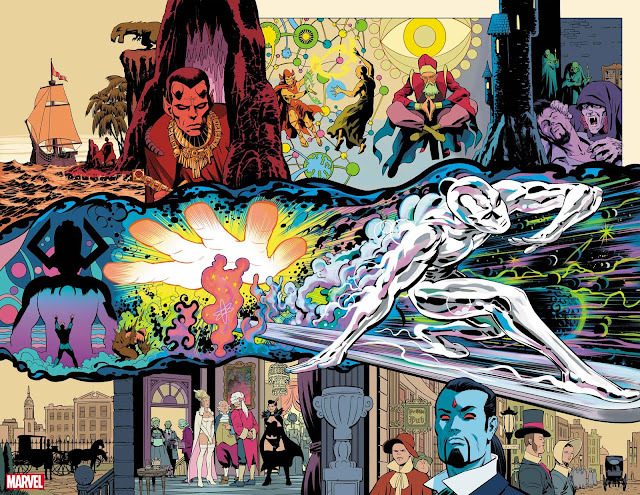 The last episode featured is “Singularity." 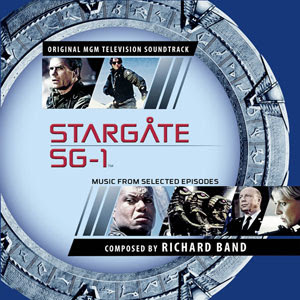 Band’s “Teaser” opens with some grand chords for establishing shots of the stargate in operation, while the rest of the score features everything from droll underscoring for a little comic banter, a military motif playing alongside snares and low, staccato keyboard notes as the team enters the stargate, while wailing synthesizer notes, creaking waterphone effects and a touch of choir accentuate the horror and mystery of the plague they discover on the other side. The TV series followed three years after the theatrical release of Stargate, on the SyFy Channel. In the series, Richard Dean Anderson (MacGyver) took on Kurt Russell’s role of tough-talking military officer Colonel Jack O’Neill, while Michael Shanks played the wet-behind-the-ears Dr. Jackson. Joining Anderson and Shanks were Amanda Tapping as Major Samantha Carter, a pilot and astrophysicist who was an expert on the stargate technology, and Christopher Judge as Teal’c, a warrior from one of the numerous planets enslaved by the Goa’uld, the symbiotic half-human, half-alien race who were the chief antagonists of the original Stargate movie and the subsequent television series. While it extensively employed the iconography and story elements of the movie, Stargate SG-1 quickly established its own characters and themes, growing in popularity and eventually running for an incredible 10 seasons and spawning two spinoffs, Stargate Atlantis and Stargate Universe.